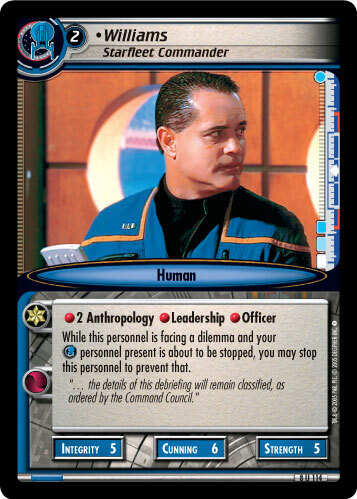 While you command more than seven personnel aboard this ship, it is Range -3. 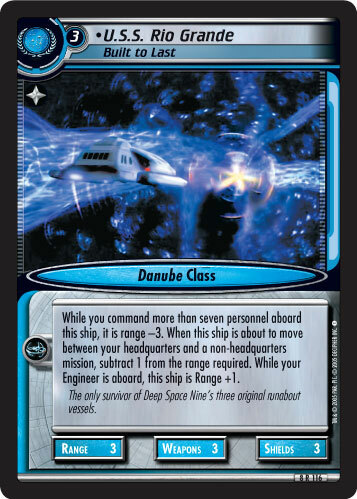 This ship is attributes +1 for each personnel aboard (limit +5). 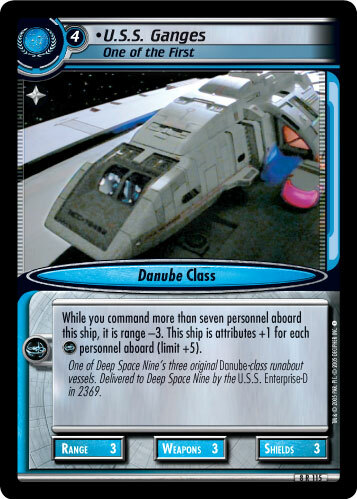 One of Deep Space Nine's three original Danube-class runabout vessels. Delivered to Deep Space Nine by the U.S.S. Enterprise-D in 2369.